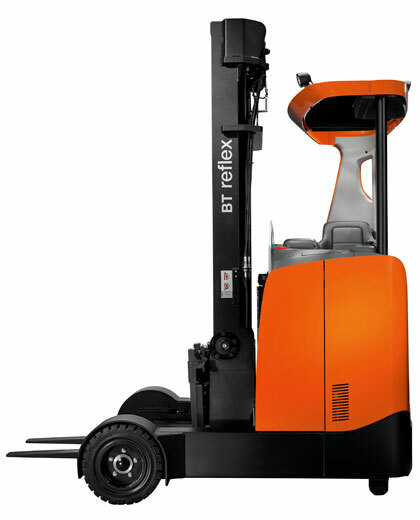 Sharing key qualities with the rest of the BT Reflex range, the O-series reach trucks feature AC technology, 360° steering and the advanced Transitional Lift Control System. With high ground clearance and durable super-elastic wheels, these forklifts are ideal for working in indoor and outdoor environments. They can operate on slopes, transitions, warm asphalt and even rough or uneven surfaces. 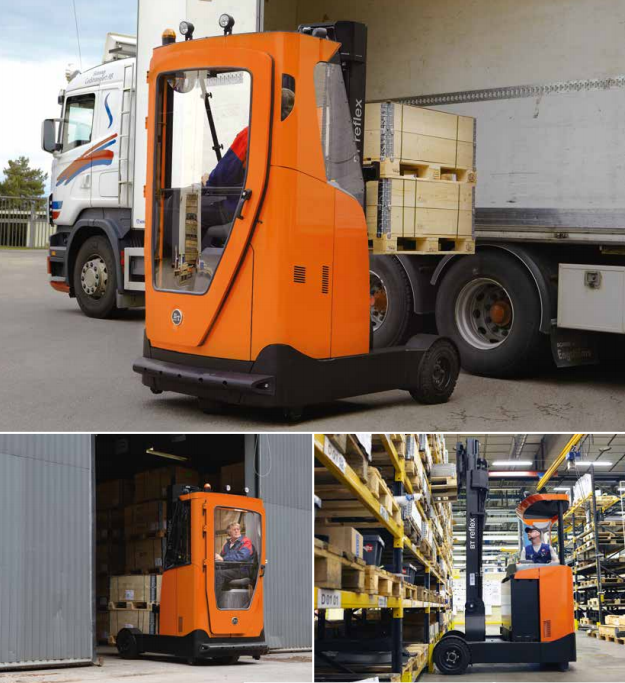 Featuring a lift height of up to 7.5 metres, the O-series reach trucks can easily cope with tasks such as block stacking, servicing outdoor racking and loading/unloading vehicles from the side. These forklift trucks are also available with different weather protection options. Suitable for both indoor and outdoor use, the BT Reflex O-series reach trucks feature large super-elastic wheels. They have a ground clearance of 145mm, allowing them to work on uneven surfaces, while their treaded super-elastic tyres secure grip on wet or uneven surfaces or even warm asphalt. The heavy-duty gearbox is adapted to suit the revised drive-wheel configuration and the three-wheel braking completes the package, ensuring optimum safety and reliability. Our BT Reflex O-series reach trucks are also available with three different weather protection options with polycarbonate windows on overhead guard and one or more sides of the cab. The third version also offers door and heater. The BT Reflex O-series reach truck is one solution for a variety of different needs.